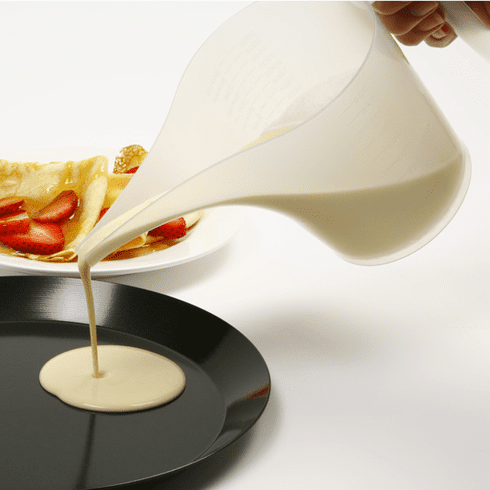 Pour liquids, sauces, purees, glazes, batters, frostings, dressing and gravies with no-drip precision. Ideal for filling muffin pans and pouring batter into molded bakeware. Easy to view contents. Translucent for quick and easy measuring. Capacity, 3.5 cups/ 28 ounces/ 900 mil. Dishwasher safe.